Northern Powergrid has announced a £1.9 million project to figure out how best to integrate distributed technologies into the electricity grid. 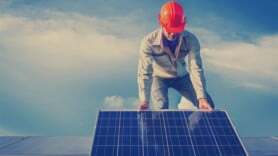 The distribution company aims to eventually create a low carbon energy market where the 3.9 million homes it serves can make their own money from solar panels, electric vehicles and home batteries. It claims costs could be cut by managing local energy resources to create an efficient, flexible system capable of balancing supply and demand. It also suggests developing smart services and infrastructure to support large volumes of clean renewable power is needed to accelerate the low carbon transition. As part of the project, researchers at the University of Bath and Newcastle University will develop laboratory models of distributed energy systems, local energy markets and network operations, tracking flows of energy, payments and information. This virtual system will enable them to explore a range of different approaches and allow them to develop strategies and regulations for the future. Patrick Erwin, Policy and Markets Director at Northern Powergrid, said: “The transition to a reliable, cost effective, low carbon network offers huge opportunities for the economic prosperity of our region.